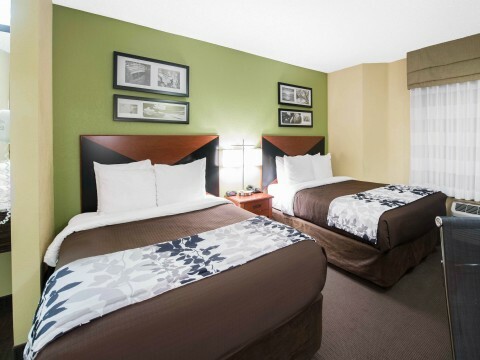 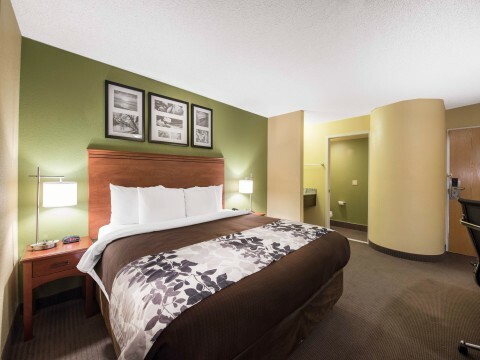 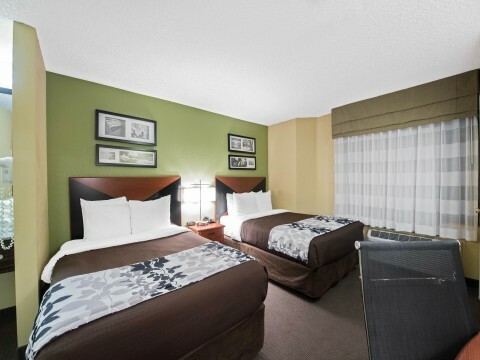 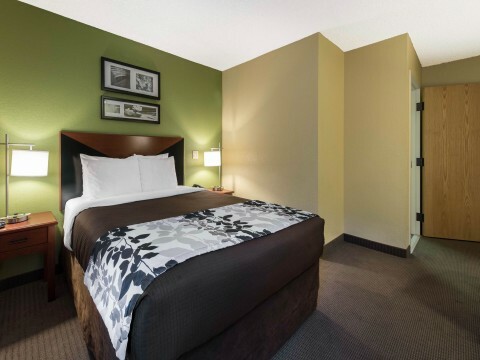 Our accessible, non-smoking 1 queen bed guest room is ideal for guests looking for mobility access, and can comfortably accommodate up to 2 guests. 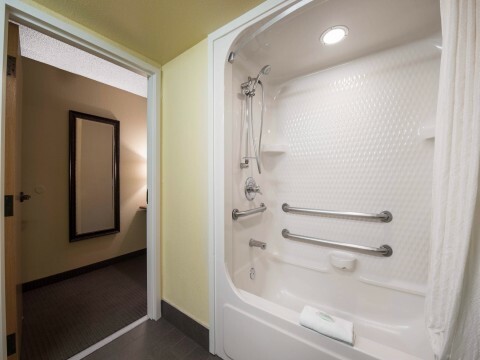 We offer two styles of accessible rooms; one type is fitted with a roll-in shower, and the other provides a tub shower combination with a chair and stability bars. 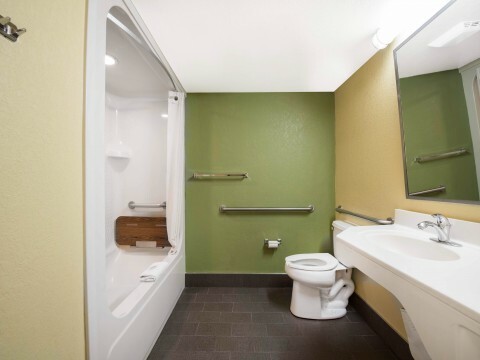 Both room types feature stability bars throughout the private bathrooms. 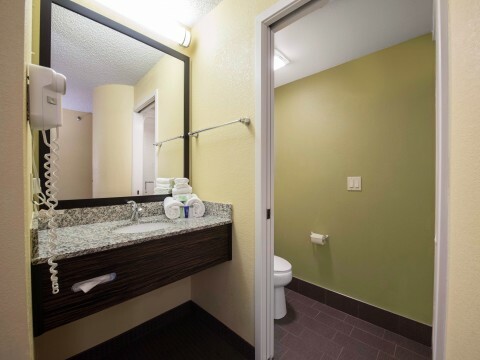 The private bathrooms also include signature toiletries, a hair drier and vanity area. 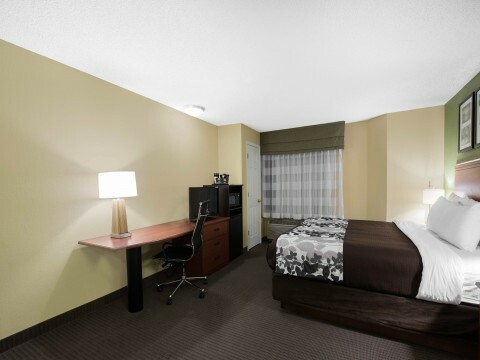 Our Accessible rooms are equipped with accessibility features to assist in making your stay more comfortable. 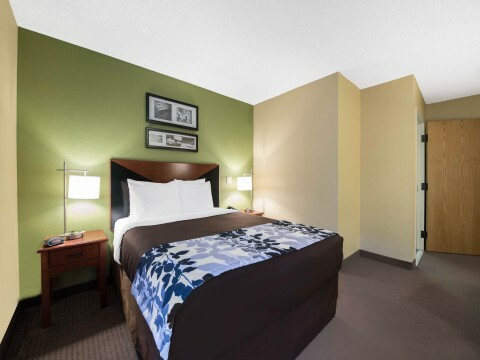 This room is equipped with complimentary WiFi, a 32” LCD TV with premium channels, premium bedding, a refrigerator and microwave, an iron and ironing board, laptop safe, a large work desk, and an in-room coffee maker.